Biggest ever MINI. Upmarket and quirky interior. Good to drive. Available as a plug-in hybrid. Very expensive to buy new. Firm ride. Not great at long distances. Most of the smart kit is optional. : Fuel consumption combined: 2.5-2.4 l/100 km; Electric power consumption combined: 13.7-13.4 kWh/100 km; CO2 emissions combined: 56-55 g/km. 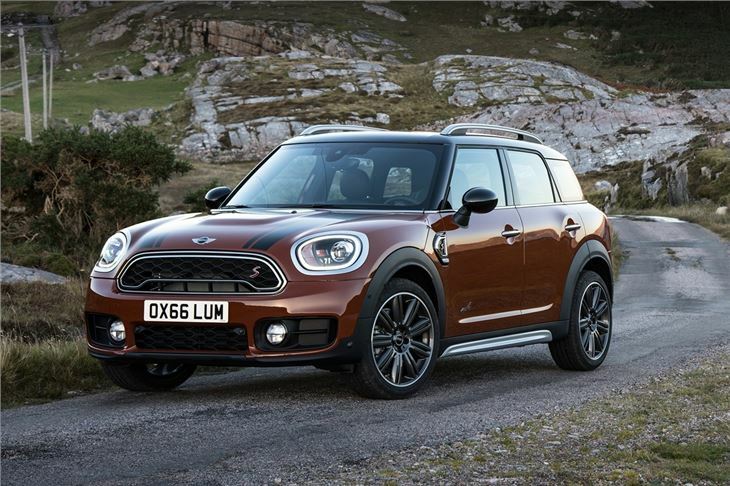 First things first - the new Countryman is the biggest MINI ever. 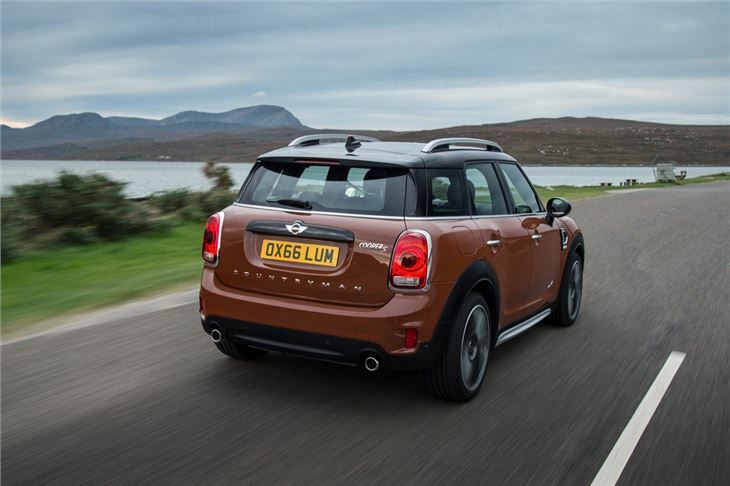 For most people that’s not an issue by now, but if you’re still in the "Minis should be small and packaged cleverly" camp, this Countryman crossover is conspicuously offensive. That said, it is packaged cleverly. 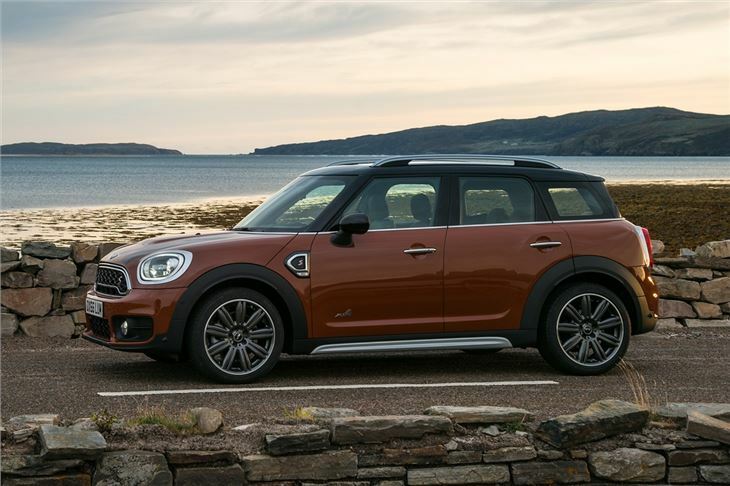 Remove the BMW-era MINI design nonsense and you’ll see that the Countryman actually squeezes a lot of space and practicality into a relatively compact footprint. It’s also fantastic to drive, as these things go. 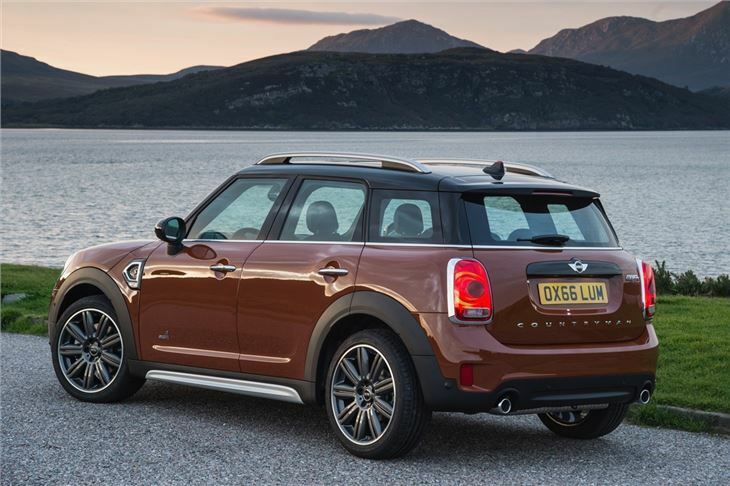 No other mid-sized crossover feels as sharply engaging as the Countryman. That BMW has managed to expand the dynamic essence of the MINI hatchback into a package this large is truly impressive. The downside of that is relatively firm ride quality, making this one of the less comfortable crossovers over long distances. Added to that, the seats – although good looking by design – are on the small side and won’t suit all. Its combination of practicality and downright quirkiness will really appeal to some, though. 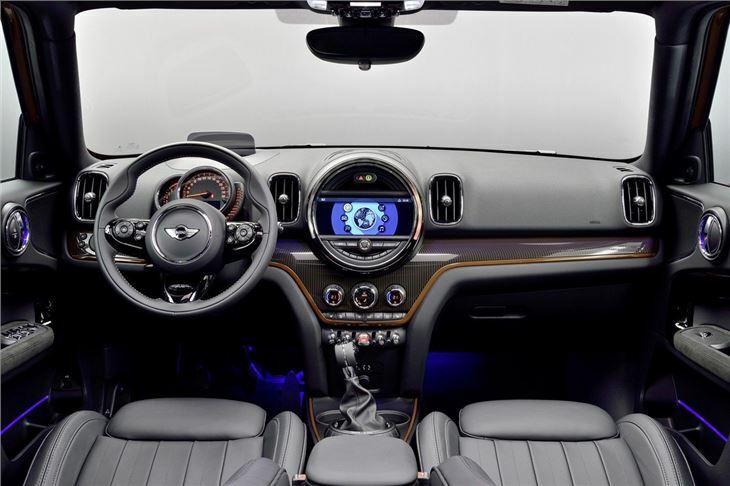 MINI’s cabin design is both unique and high quality, and although the whole ‘central speedometer and toggles aplenty’ shtick is losing its lustre now, three generations in, it’s still a refreshing change from the ever-more-homogenous cabin design of many crossovers. 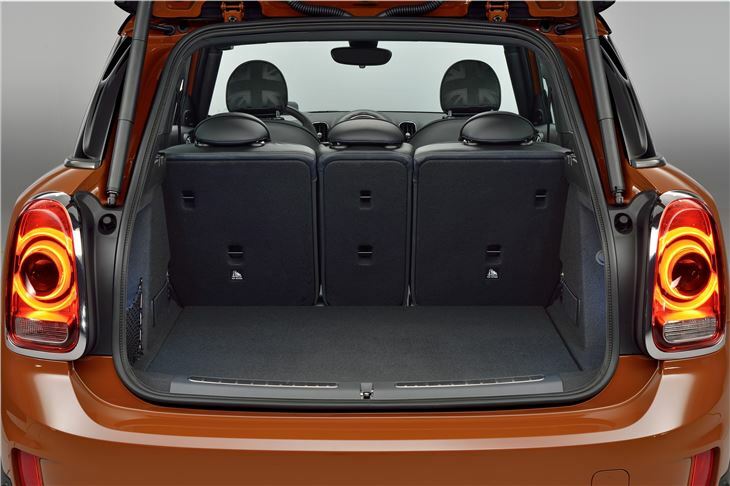 The Countryman is practical too, with plenty of headroom and a significant improvement in rear leg space compared to the outgoing model. Alongside the familiar MINI petrol and diesels - Cooper and Cooper D, Cooper S and SD, and John Cooper Works - there’s a plug-in hybrid too, called Cooper S E. It boasts some startling numbers with 134.5mpg and 49g/km. That makes the PHEV a fantastic company car proposition because of the tax breaks, though private buyers will find its high list price and poor real-world economy off-putting. 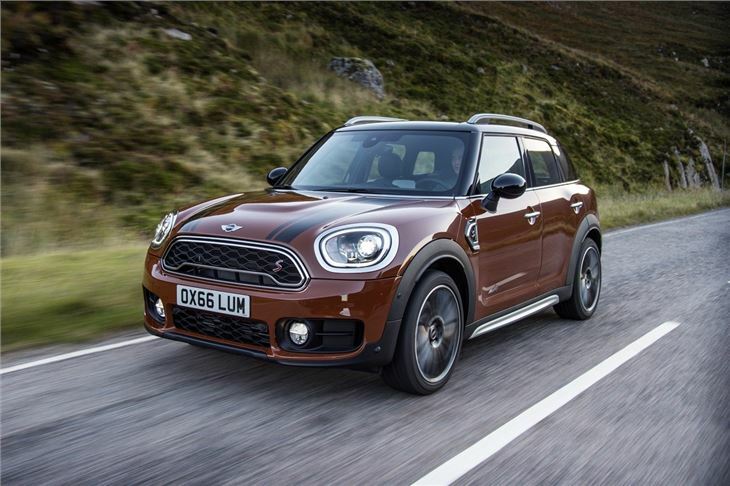 A standard Cooper or Cooper D should suffice though, offering decent performance and economy while keeping the price reasonable – in the mid-£20k range. For that you’ll get a crossover full of personality that’s practical, versatile and great to drive, albeit not flawless.